Designed for non-law graduates, the Juris Doctor from Deakin University equips students with the knowledge and practical skills needed for contemporary legal practice. The course meets the academic qualifications necessary for admission to the legal profession. Throughout this comprehensive course, you’ll gain a broad understanding of the policy informing the law, focusing on current policy issues and developing skills in the use of legal theory and legal research methods. The course is orientated towards commercial law and includes assessments involving problem-based written advice, an oral bail application, an assignment focusing on the implementation of procedural rules, preparation of a memorandum of advice, oral court submissions, and a file management project. The course comprises 17 core units and 7 elective units. It is delivered fully online, with a compulsory three-day induction program held in Melbourne. a Master's degree in a different discipline. 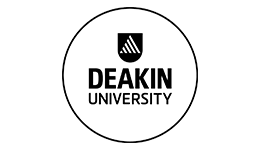 Upon successful completion of this course you will receive a Juris Doctor from Deakin University. Graduates are prepared to pursue a variety of career paths in the legal profession, including roles in law firms, businesses, government, industrial relations, public administration, academia, and law reform.